Get on your dancing shoes, indie, nu disco and rock ’n’ roll revellers of KL: Indiego & Co. takes place every Saturday night at Frangipani, helmed by Bunga of Twilight Actiongirl, Robotron 5000 of Dangerdisko and Ruud of Deer Society. 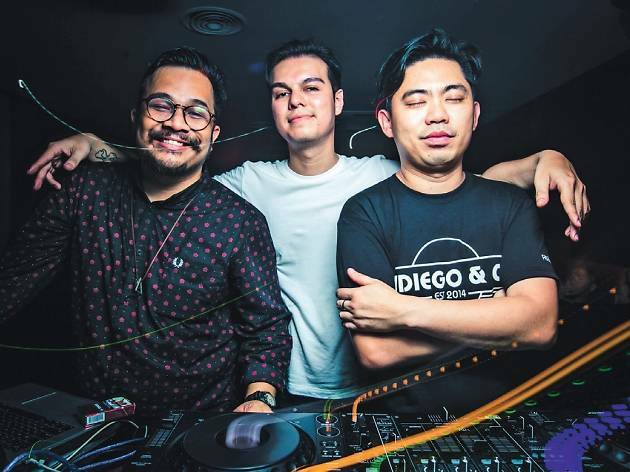 This is nothing new, of course; Indiego parties have raged on since April 2014, and you must’ve caught the trio at Urbanscapes, It’s The Ship, and Good Vibes. Still, we feel the need to remind you that Indiego is where it’s at, especially if you find yourself pining for Barsonic’s TAG nights and Deer Society’s Daikanyama parties. Also, don’t miss their theme parties – last May they gave us Ska Wars, which celebrated ska music in conjunction with Star Wars Day (‘May the 4th be with you!’), then it was Hantu² Malaya in place of Halloween, as well as Hindiego, where they played bhangra music... because why not, right?